Whoever decided it would be a wonderful idea to put a ferris wheel out past the shore of the pacific ocean ought to go down in history. It’s rare that I return to a tourist trap twice, but ferris wheels are the exception to the rule. There are two especially close to my heart, the Grande Roue de Paris included. But with most Ferris Wheels first time or not, there’s rarely a good excuse not to ride one with someone you love. 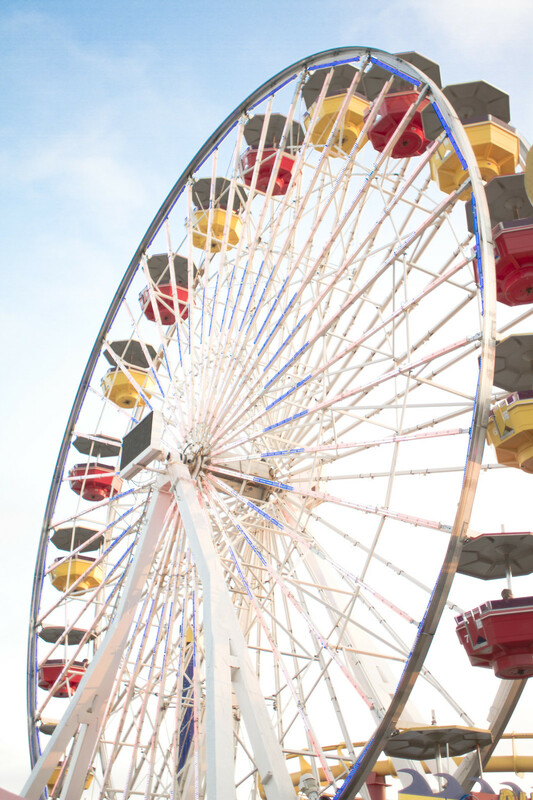 The ferris wheel at the Santa Monica pier is is the second one, and I’ll ride every time I come back to California, staring up and down the coast trying to put down the camera to take it all in. I can’t always manage to do that though, so this time here’s some pictures to share with you…more to come from California this week! Beautiful, love the light in these photos. This has to be one of my favorite places on Earth! I’ve been tons of times and each time it feels like the first, I just love it! Your photos are gorgeous and you look so cute with that jacket! dreaming as always… love your blog so much. If I need to dream a little bit, I click here :)…. How fun this looks! Totally need to go now. The view up there looks incredible! Ive lived in California my whole life and have yet to do that ferris wheel. Leanne, you must! 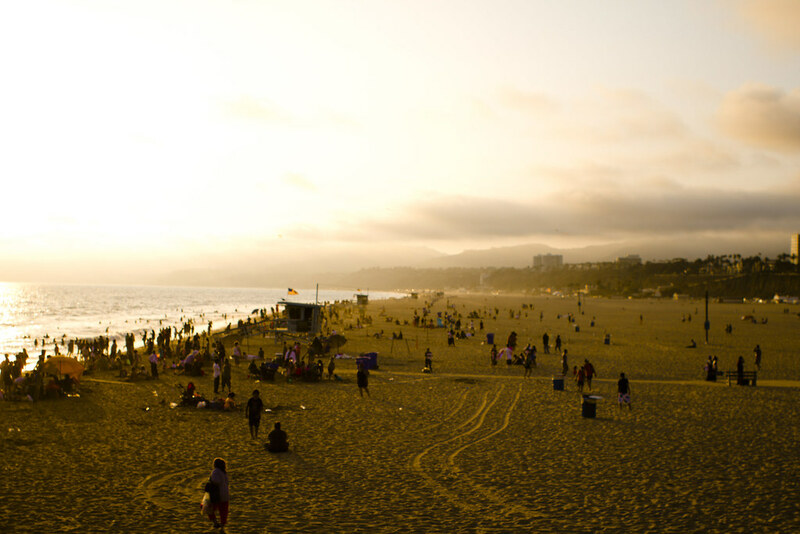 Santa Monica Pier is kinda touristy, but you must to this ferris wheel at least once in your life. XO! I agree. That person needs some kind of award. Great pics! You couldn’t pay me a million euros to get up on that though! Can’t shake the fear of heights!! Simply amazing. You must go back some day! It never loses its charm. These pictures are gorgeous. And I loveloveLOVE that pastel biker jacket! Gorgeous pictures, I must ride the ferris wheel when I visit! Anna, definitely! Put it at the top of your list! i love the pier. i always daydream about moving out of my beloved city but at the end of the day, the beauty of LA keeps me here. thanks for sharing a piece of my home to the world! This is what I did on my last ever full day living in Los Angeles before moving back to London, and yes, it is a tourist trap I think I’ll be going back to. The view is simply breathtaking. So glad you shared this experience too Rachel! It’s a great place…. The light in the second photo is amazing!